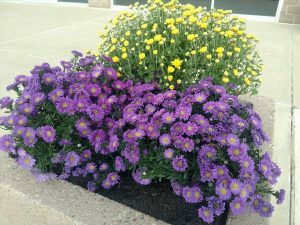 Our lawns and landscapes are the best looking on the block! 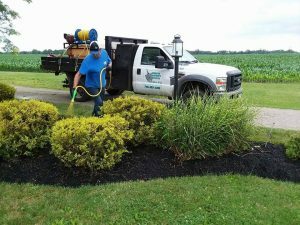 We use the latest products available in the industry and they are applied by our knowledgeable and experienced crew of State Certified Applicators from the Ohio Department of Agriculture. Our staff strives to treat your lawn with the right products at the right time. We are not going to show up and put something down just in order to send you a bill. We have a variety of programs to meet most any budget and need. If we don’t we will customize a program for you. We are very proactive about our lawns as the season progresses and if there are any issues of disease or insect damage we will visit and diagnose your lawn as soon as the problem is noticed and then treat it appropriately. The icing on the cake is to have that “golf course” stripe. 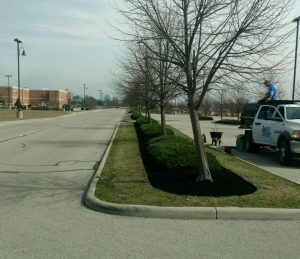 We have the most quality driven crews that are out mowing on a daily basis. 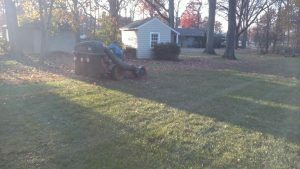 These crews work very diligently to ensure that your lawn is cut at the appropriate height and that all adjacent areas are trimmed as well as blown clear of clippings. We will also go that extra mile and double cut or bag your lawn if it is needed or requested. 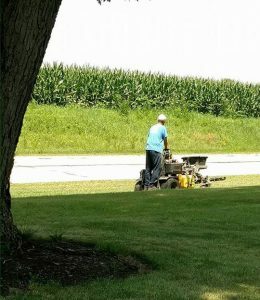 And not to worry, we won’t mow if there is no need to. We will just stop back the following week and take care of it.